11 Small Kitchen Ideas on a Budget. Maximize your small kitchen so that you may thrive in your tiny space. Learn to love your kitchen no matter the size. Organize and downsize, live simply and create with style. 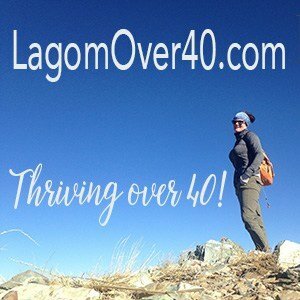 This post contains affiliate links for Amazon. Thank you for supporting this blog. Living in a small 1954 bungalow has taught me a few things. First, I have too much stuff. Cooking in my bungalow kitchen has made me realize that I don’t need 10 different casserole dishes and endless cooking gadgets. The families that came before me since 1954 survived without an Instant Pot. I know, hard to believe. Second, the less stuff I have, the easier it is to find the stuff I need. After living in this bungalow for three years, I have developed a routine of purging excess items. I often take inventory of an area and purge it. If I didn’t use the item in the last year, it usually gets tossed (i find it a new home). When I make my way around to the same area later, I do it all again. It seems that I am saving time looking for stuff because I don’t have to paw my way through mounds of un-used stuff in order to find what I need. Life is getting simpler and less complicated. Also, the more stuff you have, the more time and resources is spent maintaining it. Purging is one of my favorite household chores. It leaves me quite satisfied when I am finished. Third, I could have saved a ton of money if I never bought the stuff in the first place. This is the most painful realization after we moved into this small bungalow. If you suffer from stuffitis, allow me to recommend a book that really hit home for me. This book goes over the behaviors that lead to the acquisition of stuff. It was an eye opener for me and changed the way I feel about stuff and money. It is my hope that you will find these ideas for small kitchens helpful. Do you have any tips or hacks that you want to share? Leave a comment below. 1. Utilize the inside of cabinets. The inside of cabinet doors are usually under utilized. I have installed spice racks, pin boards, calendars, towel racks and hooks. You can store spices, important papers, towels, oven mitts, paper towels, measuring spoons and measuring cups. This hardware is an easy do-it-yourself item and is relatively affordable. 2. 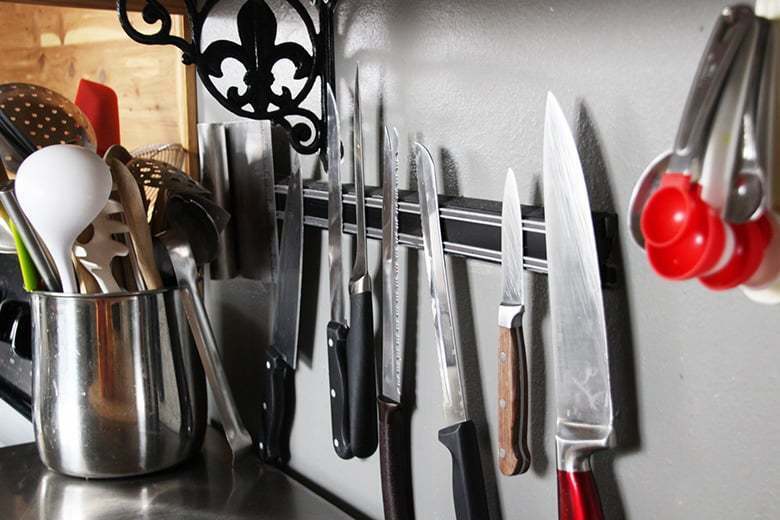 Install a magnetic strip for knives. This has saved me valuable drawer space (I only have 4) and makes food prep a cinch. I never have to search for my favorite knives so it saves time too. 3. 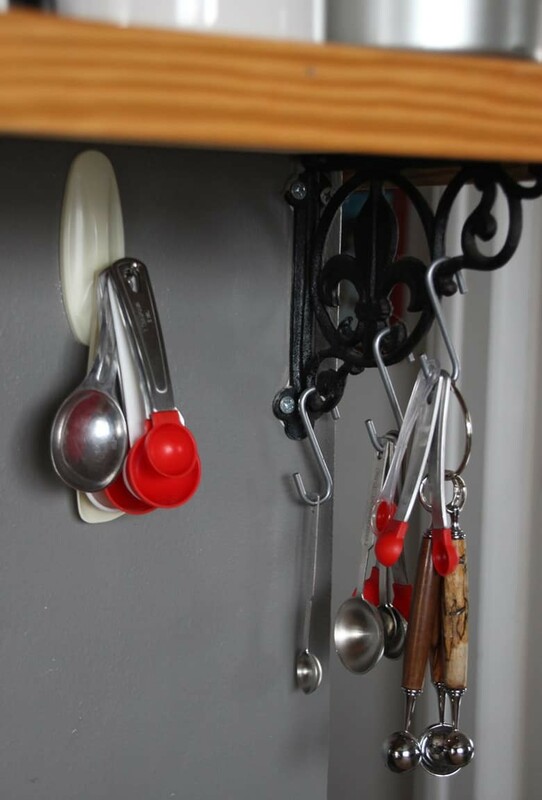 Use hooks to store measuring spoons, measuring cups, tea towels and oven mitts. I have used self adhesive hooks, pretty iron hooks and S-hooks. They not only offer valuable storage but I think they look pretty when they display pretty, vintage and handmade kitchen utensils. 4. Hang a large mirror. The larger the better. 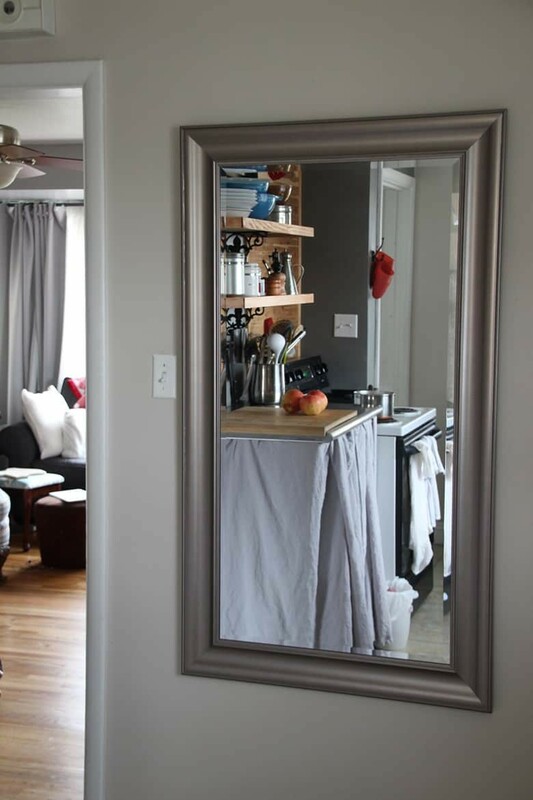 Mirrors reflect light and makes a space feel larger and less claustrophobic. I have mirrors throughout my house. Besides hanging them on the wall I prop them on dressers. My favorites are the vintage looking mirrors. This mirror I found at a home discount store close to home. 5. Store your cookbooks elsewhere. 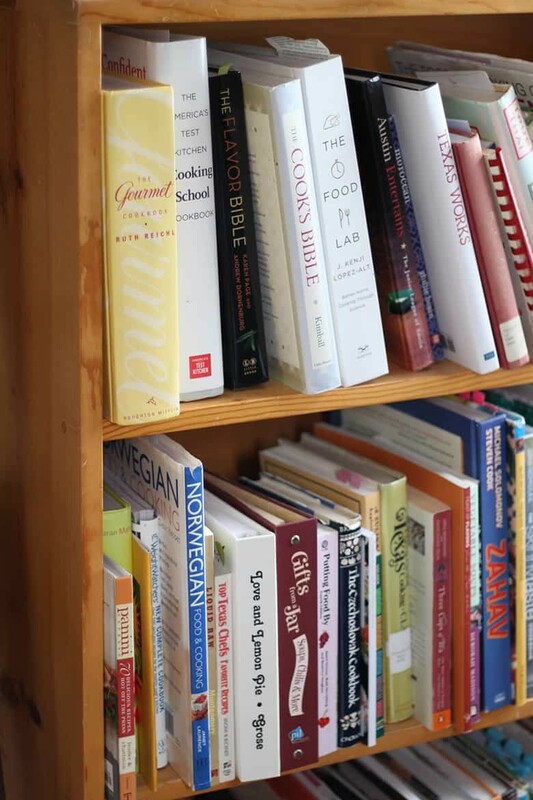 If you have a decent sized collection of cookbooks, you won’t have any space for them in a small kitchen. I store mine on a medium sized bookshelf with my knitting and garden books. I have a chair nearby so that I can browse at my leisure. 6. 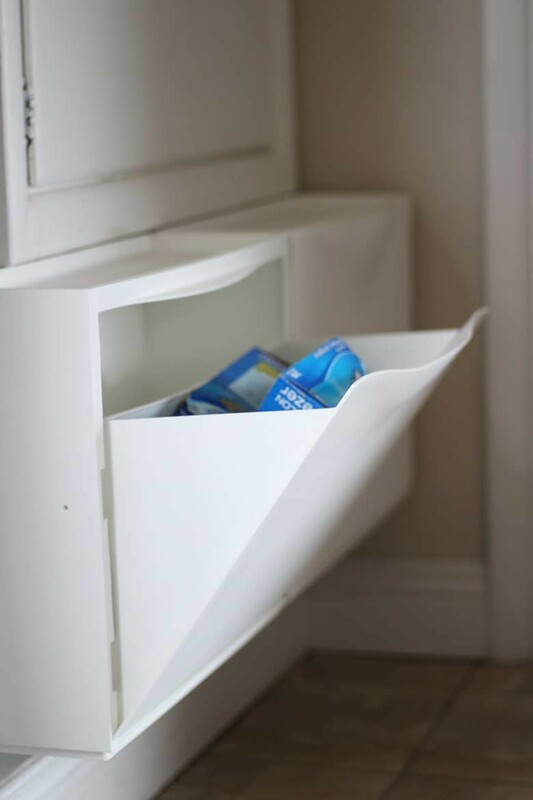 Install drawers in your pantry and cupboards. 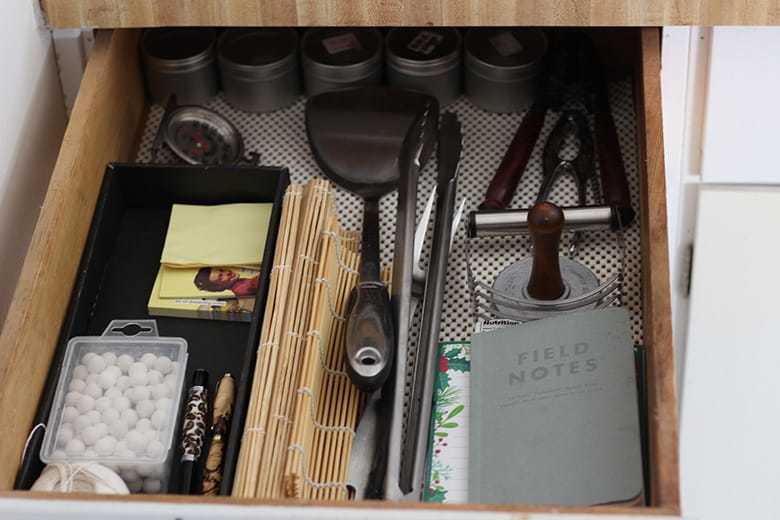 Drawers make it super simple to find what you are looking for. No more getting down on your hands and knees searching for that elusive item. If it’s too dark, add some battery powered puck lights. 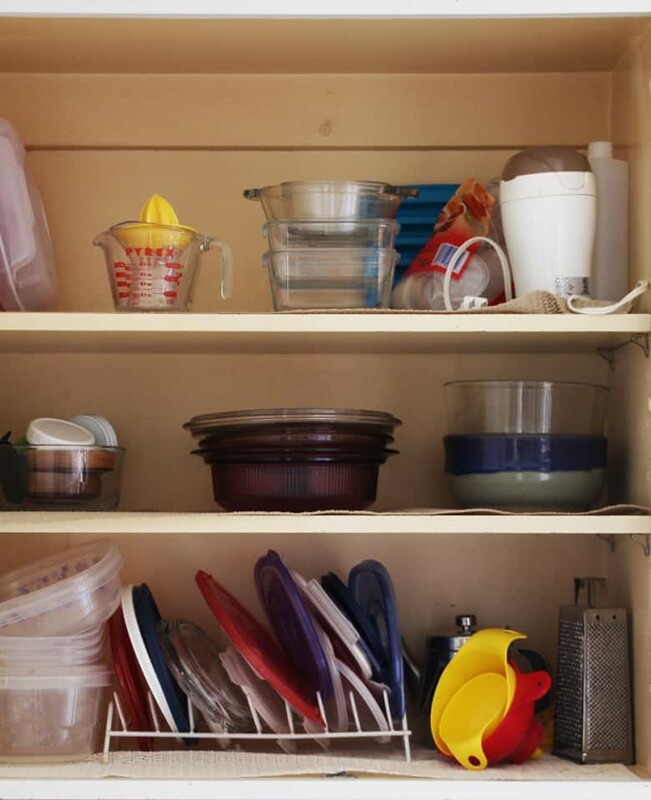 I was amazed at how much shelf space is eaten up by just tossing items in the cupboard. 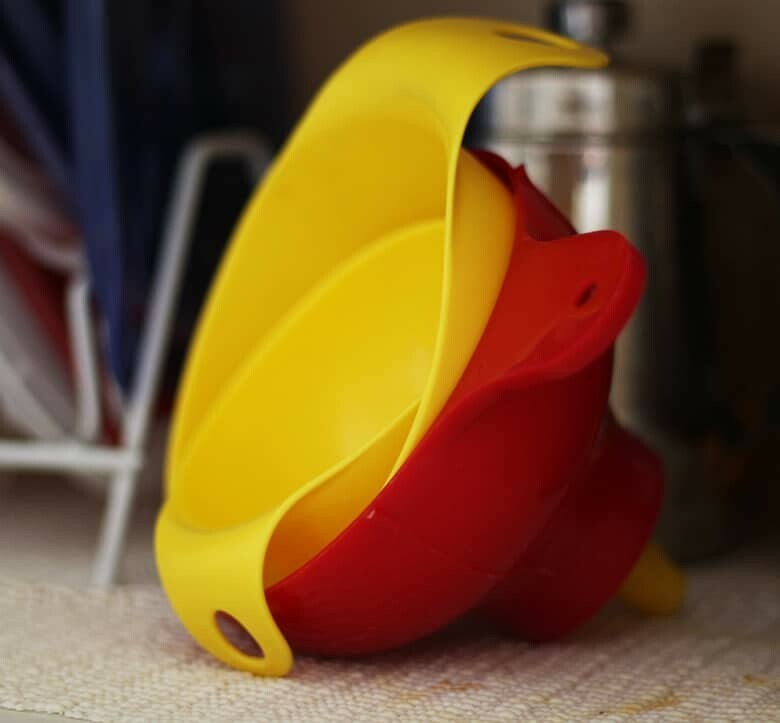 Even just 3 funnels stacked together saves almost a foot of shelf space. 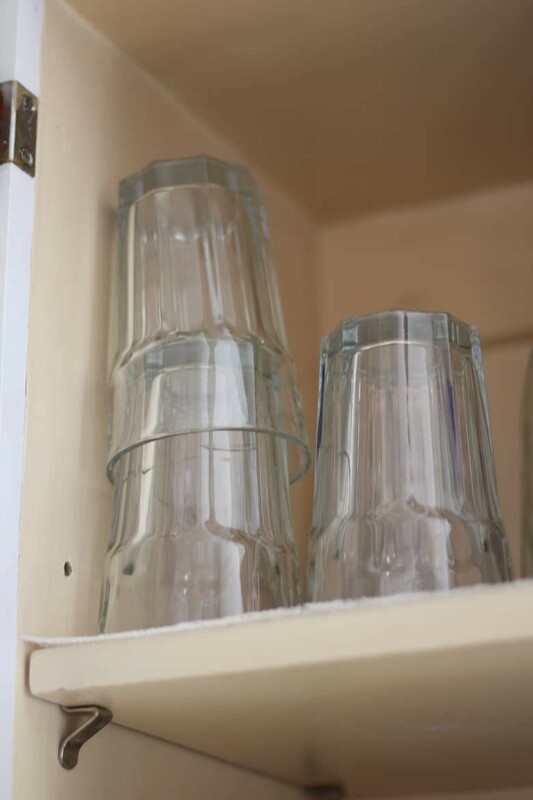 When I was in the market for drinking glasses, I checked to make sure they were stackable. 8. 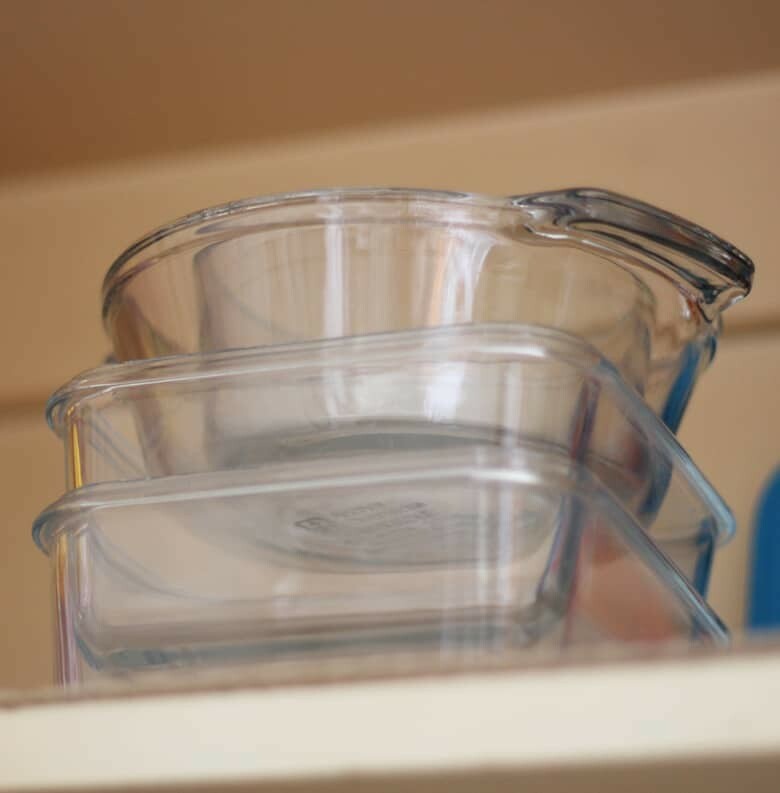 Utilize the space on top of your cupboards. The key here is to store your prettier items and don’t overstuff the space. I like glass jars, mortar and pestle and tiered stands. Plants would be pretty too. 9. Install Trones wherever you can. I have Trones in my kitchen, guest bedroom and back entry. I store kitchen items, shoes, books, umbrellas and slippers in them. They are immensely useful and the plain white ones just blend in. Trones are from Ikea and can be ordered online here. 10. 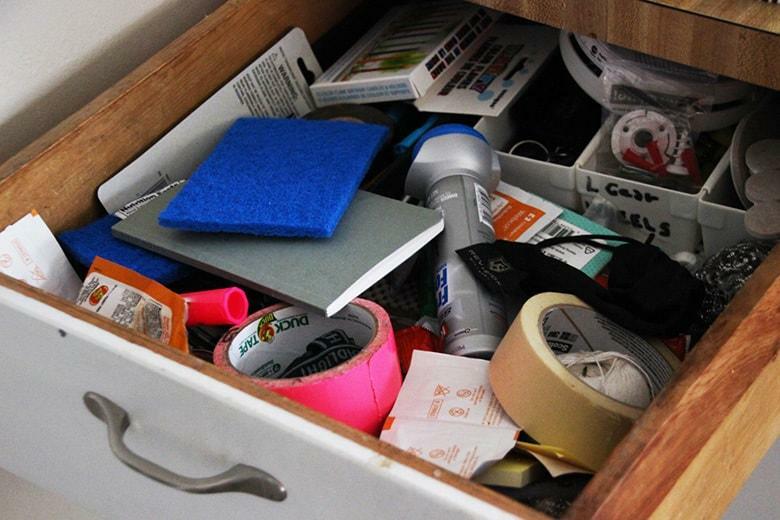 Get rid of your junk drawer. I only have 4 medium sized drawers in my kitchen. I only recently realized I don’t need a junk drawer. These drawers are to satisfy our lazy selves and gives us permission to not put stuff away. I found a home for each item in this drawer elsewhere and reclaimed valuable real estate in my kitchen. 11. Make a dedicated food prep area. This is my favorite. My house didn’t have any cupboards or counter space beside the stove. Not even a few inches to set a stirring spoon. I can’t even imagine. I found a stainless steel food prep table online and installed some shelves and a knife rack. I added a skirt to store bulky items underneath. This dedicated food prep space is sacred. Nothing gets thrown on there such as mail, dirty dishes or outgoing packages. This prep area is always ready for cooking. It also has everything needed within arms reach. For micro kitchens, change to smaller appliances. Think RV size. There are small drawer dishwashers and small fridges. Stove tops come in all sizes including a single burner. Do you need a microwave? Not really. Clean as you go. 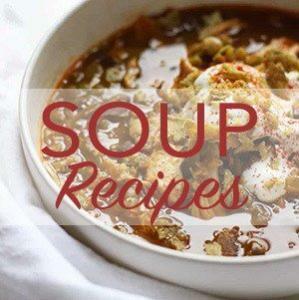 Wash dishes as you prep and cook. Starting with an empty dishwasher is a really good idea if you are cooking for a large group. Put away items as you use them. 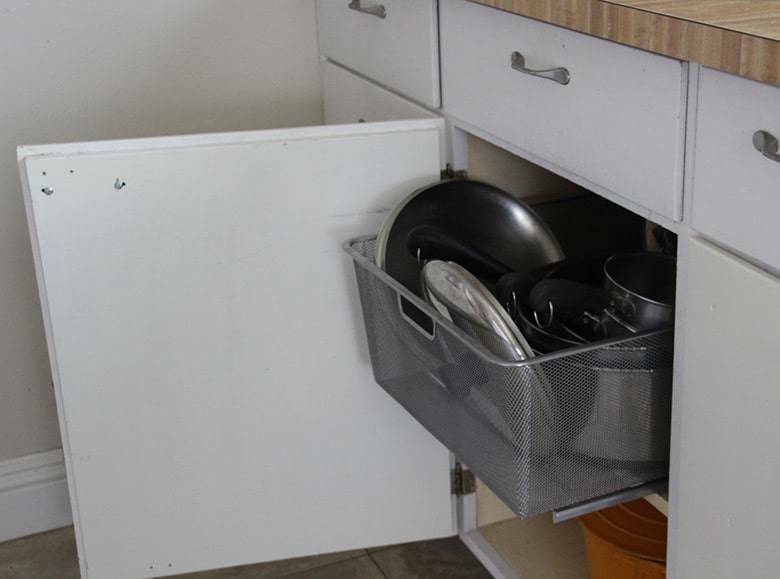 Keep the counters free of clutter. Paint your walls or cabinets white. This allows the space to open up visually and really bounces light around. A well lit kitchen feels bigger. A single bold statement of color or pattern is very effective instead of many colors or small patterns. A bold accent wall or bright colored appliance is all the decorating you need. Too much color or too many patterns such as kitschy cookie jars, busy hand towels, loud window coverings will make the space feel cluttered and small. Stick to a single bold statement and dial down everything else. 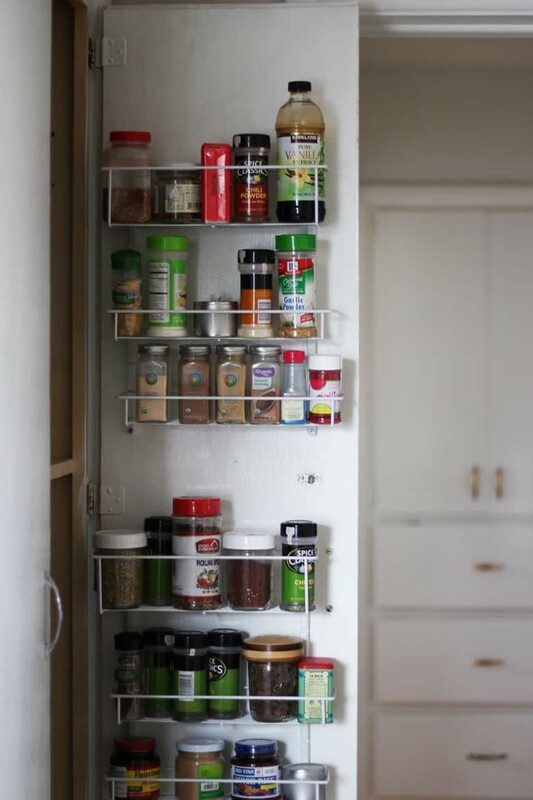 If you have extra space between the wall and your fridge, install a sliding spice rack. Borrow space from other rooms. I have a basement bedroom that is unfinished so I turned it into a walk-in pantry. It is outfitted with a chest freezer and free standing shelves. If you have an eat-in kitchen, consider a half circle table for two against the wall instead of a full size table. 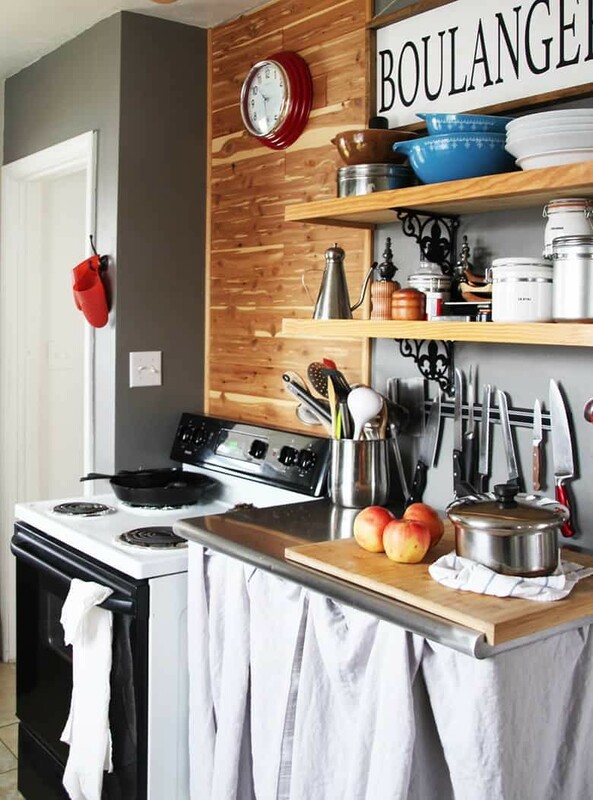 A peg board on an empty wall could come in handy. 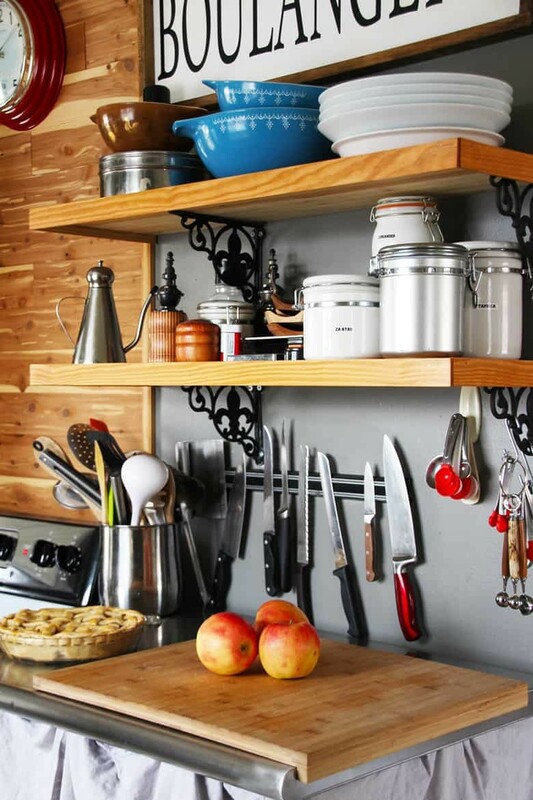 Hang pots, skillets, cutting boards and cooking utensils. 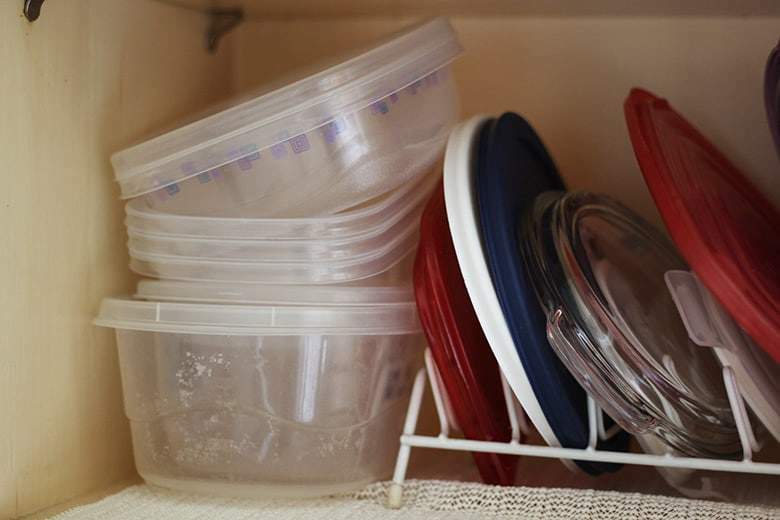 Julia Childs was known for this kitchen hack. Paint it a vibrant color and make a statement. 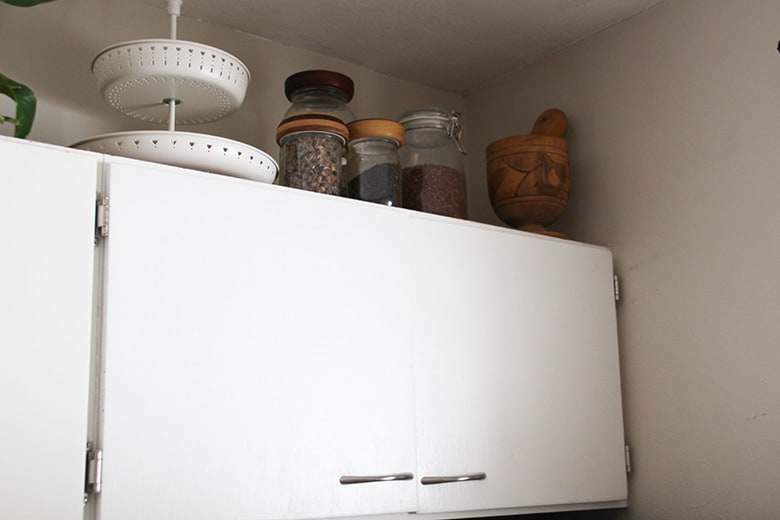 It was nice when you said that you can install a sliding spice rack if there’s an extra space between the fridge and the wall to maximize the space of your kitchen. My husband and I are planning to shop for kitchen decor. We want to make sure that we can stick to our budget when we shop for kitchen decor. 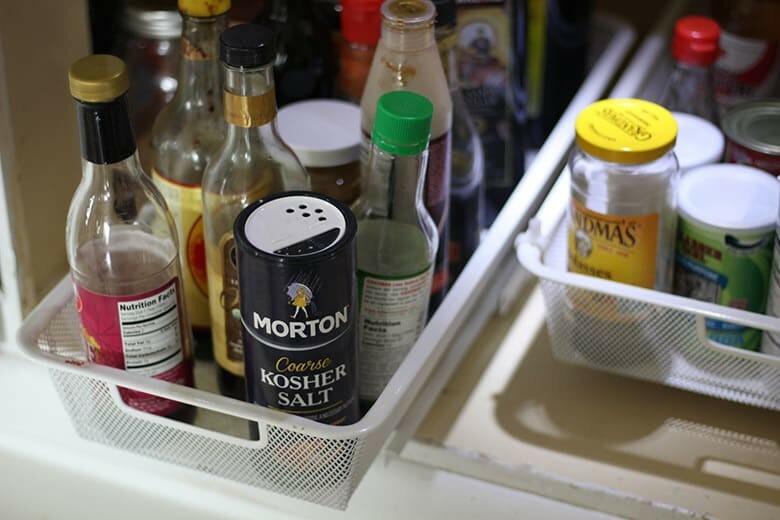 We will make sure to include a sliding spice rack on our list when we shop. Thanks! If you have space for it, it’s a great source of storage. Think about how many spice jars you can fit into it. Good luck Sharon on your kitchen improvements! Mine is always a work in progress. You have peaked my interest…. I’m totally going to read the Dave Ramsey’s book now! Another great read for organization is The Life Changing Magic of Tidying Up by Marie Kondo. Some of her ideas are a little crazy but overall a great book with excellent ideas. 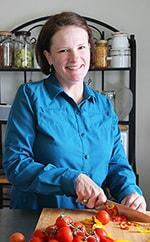 I have a smaller kitchen as well and to keep it less cluttered I only buy what I plan to cook that week at the grocery store instead of stockpiling food. Another idea is to have a kitchen island with drawers/shelves instead of a table. That way the kitchen island can be multi-functional as a place to eat as well as additional storage space. I love your kitchen Hannah, especially what you did with that space. The kitchen island instead of a table is a fantastic idea. I have heard about the Konmari method. I haven’t read the book but I think it would be a really good read. Most people hang on to too much stuff and when you live in a tiny home, it’s even more painful. I enjoyed Dave Ramseys book, it helped untwist my mind about stuff and how we are marketed to.